Aquarius Spectrum’s advanced technology based on fixed acoustic vibration sensors, is essential for water utilities utilizing asset-management programs requiring reliable, up-to-date data from the pipe network. 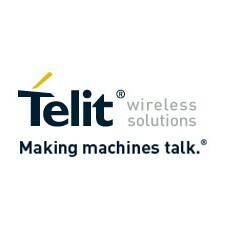 Telit Wireless Solutions, a leading global provider of high-quality machine-to-machine (M2M) modules and services, today announced that Aquarius Spectrum has selected the Telit HE910 module for its innovative water leak detection system, which is based on fixed, always-on, correlating sensors. With more than 600 sensor installations in 3 cities in Israel (Jerusalem, Netanya, Karmiel), Aquarius Spectrum’s system provides the water utilities with near-real-time alerts of suspected leaks, enabling proactive operations and maintenance (O&M). 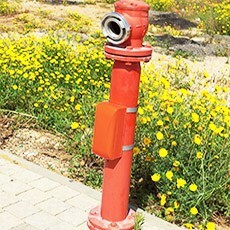 The system combines highly sensitive, acoustic vibration sensors installed on hydrants, with 3G GSM cellular communication and GPS-based time synchronization to provide pinpoint accuracy of leaks as small as 1.5 mm. The functional combination provides an online, expert-managed system. Aquarius selected the Telit HE910 module because it provides the most power efficient solution for the 200KB transmission of data for each measurement. The HE910 is a compact, multi-band HSPA+ module that features five-band HSPA+ data rates (21 Mbps downlink and 5.7 Mbps uplink), which is ideal for high-performance applications designed for global deployment. Fallback to GSM/EGPRS is built-in. To provide self-timing synchronization via GPS, the sensor operation requires synchronous recording of vibration signals and transmission to the data analysis server. The SL869 GNSS module was selected for this task because it provides very fast time synchronization from a cold start. The ability to supply modules that meet both these demanding requirements indicates the breadth of Telit’s product portfolio, which is a key component of the company’s ONE STOP. ONE SHOP. offer. The system’s multi-sensor algorithms detect very small to large leaks at a range of over 400 meters with 1-2 meter location accuracy. Distance between sensors is between 300 and 500 meters. Based on cloud computing SaaS (Software as a Service), the system is fully automated, providing near-real-time water pipe monitoring. In addition, water utilities are supported by Aquarius’s engineers, who provide expert input to help to leverage their vast experience for system operation, verification of results and prioritization of the leak repair. The graphical user interface is based on a Web browser. The detected leaks presentation provides extensive review and reporting capabilities as well as data export and an API to utility software systems and GIS system. “Working closely with Telit facilitated the development of an innovative solution that is ahead of other systems in the market, and we have retained that lead”. “Telit is excited about the potential of this online, expert-managed system. There is an increasing awareness of the need to deal differently with water, which is a precious resource. The world is running out of water and the problem is not restricted to desert regions,” said Emmanuel Maçon-Dauxerre, Senior Vice President, EMEA Sales.